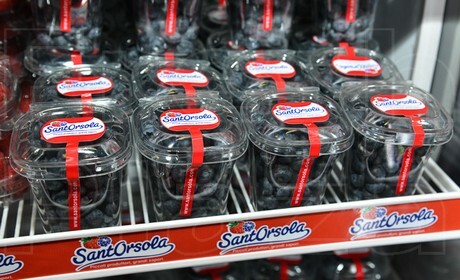 The new facility of Sant'Orsola Sca, a cooperative specializing in soft fruit, is now ready. A new production facility will be inaugurated in April 2019 as part of the Villaggio dei Piccoli Frutti project. Villaggio dei Piccoli Frutti is located in Trento and is worth 40 million Euros. It covers 16.5 hectares and has the objective of improving quantities and quality over the long period thanks to the company's R&D activities. The new facility covers 5.5 hectares and will help increase the production, which exceeded 5,500 tons in 2018, as well as its value, calculated at €60 million for the same period. Both figures exceed those of 2017. The facility is equipped with an advanced storage system featuring 157 units that can store strawberries and soft fruit according to the variety and characteristics. The facilities dedicated to processing and packaging are equipped with state-of-the-art machinery. Each function undergoes strict checks when it comes to energy consumption favored by the aluminium coverings, materials used and technological brains employed.